WHAT IS HAPPENING WITH GUIDED PATHWAYS at CRC? Join your colleagues from across the college to hear what's new with guided pathways, voice your concerns, and share your suggestions. Help make guided pathways work for CRC. You are welcome to attend any and all of the sessions. Lunch will be provided. To ensure we have enough food, please RSVP by emailing Anson Bowens at bowensa (at) crc [dot] losrios [dot] edu (subject: RSVP%20for%20GP%20lunch%20meeting) . Do not hesitate to join the luncheon even if you did not RSVP. Guided pathways reform is a student-centered approach that can dramatically increase the number of students earning community college credentials while closing equity gaps. Rather than work with a subset of students, Guided Pathways is a college-wide undertaking that provides a framework for integrating California-based initiatives such as SSSP, Equity, Basic Skills Transformation, the Strong Workforce Program, and California College Promise. These maps are aligned with the knowledge and skills required by four-year institutions and the labor market, thus ensuring that students can continue their studies and advance in their careers. The maps help to simplify decision-making for students by providing intentional opportunities for exploration and informed choices. Students are helped from the start to understand academic and career options, choose a program of study, and develop a plan based on the program maps. These plans enable colleges to provide predictable schedules, frequent feedback, and embedded, discipline-specific support to help students stay on track and complete their programs more efficiently. They also facilitate efforts by faculty to ensure that students are building knowledge and skills within and across programs that will allow them to succeed in further education and on the job. WHY ARE WE TRANSFORMING INTO A GUIDED PATHWAYS COLLEGE? All Cosumnes River College students deserve an institution where they are empowered to improve the cultural, social economic, and environmental health of their communities. To do so, we must be successful in implementing guided pathways to simplify their navigation to completion and their approach to resources. Our student success data – across every indicator – demonstrate our current methods are not effective. Furthermore, students who are traditionally disadvantaged in higher education, fair no better at our College. The California Community College system places a high value on college access and as a result, CRC students are provided with access to the multitude of options we offer to help them be successful. Unfortunately, the traditional cafeteria-style of providing a college education to students is not an effective one in making them successful. We must make an institutional and cultural transformation on how the College currently conducts business in order to guide our students to be successful. At CRC, we proudly proclaim that diversity is our strength and we approach the work of guided pathways as our equity work; we shall design and implement guided pathways with great care and intention in order to close the achievement gaps without compromising rigor. We seek to empower a wider range of diverse students to succeed in higher education and career opportunities. Click on the photo above to see/hear from our students. Click on the photo above to see/hear from Dr. Bush. Click on the photo above to watch the video. In alignment with the California Community College's Vision for Success, the new Student-Centered Funding Formula (SCFF) is structured to acknowledge key metrics that reflect our students' success. This webinar series will review the impact of the new comprehensive formula, as well as dive deeper into the metrics that will be utilized and the planning tools geared towards developing a comprehensive plan. Click to Register. Click here for webinar #2 recording, and click here to view the slides. The California Community Colleges Guided Pathways is a multi-year state program designed to provide all California Community Colleges with the opportunity to implement Guided Pathways for the purpose of significantly improving student outcomes. The State of California’s $150 million one-time investment in the Guided Pathways Award Program will give each of our 114 colleges the opportunity to begin implementation of the Guided Pathways framework. This investment will support an intensive five-year planning and implementation process at each participating college. Using the Guided Pathways framework, colleges will rethink and redesign programs and services into cohesive, campus-wide strategies to achieve the outcomes expected by the state, our system, and our students. College and Career Pathways Showcase event on Friday, March 16, 2018. Students, teachers, Pathway Sector Coaches, and administrators from the Elk Grove Unified High School District visited the college to participate in a wide variety of activities that were focused on increasing college and career awareness, communicating matriculation opportunities for students, and clarifying the career education pathways. With a spotlight focused specifically on the Art, Media, and Entertainment sector, over 150 participants had the opportunity to receive an in-depth program tour and pathway overview directly from our instructional faculty members. A big thank you to Professors Lauren Wagner, and Jim West for showing off the RTVF and Photography programs to these future students. Those who toured the photo department got a treat when Hawkeye showed up. Each student had a picture taken with the mascot and took home a printed photo. Thanks also to those who manned tables in the lobby (EOPS, Work Experience, FYE, Automotive, Careers and Tech, ECE, MESA, Puente, Healthcare IT, Culinary Arts Management, Construction). And a big thank you to Kim Harrell, Colette Harris-Mathews, Dustin Sperling and Traci Scott for organizing this event! Upon conclusion of the pathway breakout sessions, participants enjoyed a lunchtime presentation by KVIE Television professionals, Rob Stewart and Kevin Williams, which highlighted industry trends and future employment opportunities for pathway completers. Stewart, who has won an Emmy for Best Television Host in Northern California, brought the Emmy with him and let the students hold and take pictures with it. He gave a very dynamic talk about finding your passion in life and pursuing it as a career. The College and Career Pathways Showcase concluded with a group photo in the Winn building and exciting conversations about up-scaling efforts to offer an ongoing event each spring that would spotlight more career pathways and be open to all high schools within the Cosumnes River College service area. Student Conversation Regarding Choosing General Education Courses and Major. Figuring out which courses to take can be confusing. CRC wants to change the way it recommends courses to students so that you can save time and save money. The college already lets you know what courses you need to take to complete a major. Now, the college needs a process to let you know which specific General Education (GE) courses you should consider given your major. The goal is to provide all students with a complete set of recommendations as to which courses you should take, (and in what order), so that you can more easily, and efficiently, complete your degree or transfer pattern. But, before the college decides how to go about recommending specific GE courses to you, it seems like a good idea to understand how students currently choose GE courses. It also seems like a good idea to understand how you currently choose your major. Join other CRC students in a campus conversation about picking GE courses and picking your major. Hear how other students make their choices, and let the college know how you make your choices. The Center for Professional Development organized two events on campus: Student Conversation--What Do Our Students Really Need? and Employee Conversation--Pathways and the Importance of Employee Relationships. 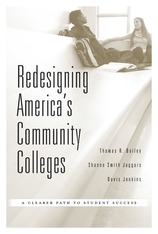 On Wednesday, August 16, 2017, Dr. Davis Jenkins, co-author of Redesigning America's Community Colleges, was the honored speaker at the annual CASSL Colloquium. Over 100 students, staff, faculty, and managers from Cosumnes River College, American River College, and Sacramento City College were on-hand as Davis built a strong case for transforming how colleges can better meet the needs of students by transforming from a "cafeteria college" to a "guided pathways college." Foremost in the development of guided pathways is the goal of addressing common expectations of students including: understanding what career and educational paths and options the college experience offers them, how long it would take and how much would it cost to attend college, and where students can get the necessary (and good) information needed to make informed decisions. Clarifying and building program maps that lead to tangible outcomes of specific career opportunities and/or clear transfer options. Redesigning how the college invites students into its programs with a focus on exploring available career and college options from the start, including partnering with k-12 schools to allow students to explore possible pathways to success before even entering college. Keeping students on their chosen specific pathways including how the college provides support services, and how the college counsel students to reach their goals. Ensuring that learning occurs through a focus on specific outcomes, contextualizing and/or rethinking general education so that GE means something for students beyond a number of units they must take. In his presentation, Davis provided a variety of examples of how community colleges across the nation have built guided pathways. Based upon what he knows of the work that CRC has completed so far in our transformation to guided pathways, Davis is optimistic that CRC is on the right "path" to success. On Friday, April 28, 80 faculty, staff and administrators attended a Guided Pathways Summit where the focus was on how learning what guided pathways are, why they are needed at CRC, and what we need to consider as the College moves forward in deliberately designing opportunities for students to transition into CRC knowing how they can succeed while here with a focus on successfully completing on-time. Friday morning included a focus on CRC programs that have already begun the process of building pathways for students: Pharmacy Technology, First Year Experience, ESL, and Nutrition and Foods. Participants also joined in a Zoom Conference call with Professors Nick Strobel and Jessica Wojtysiak of Bakersfield College. Nick and Jessica spoke about why Bakersfield College joined the Guided Pathways Initiative of the American Association of Community Colleges. Years of students failing to matriculate to college-level courses and then graduate were very motivating factors to change the way the college schedules instruction. Following the conference call with Professors Strobel and Wojtysiak, President Ed Bush spoke about how he knows that CRC is ready for this work, that in reality, we have been heading towards this work for a couple of years, and how proud he is to lead a college so dedicated to always improving. Prior to the morning breakout session, Sabrina Sencil reviewed what has happened at CRC to bring us to the point of engaging in designing guided pathways and joining the California Guided Pathways Project. Sabrina also reviewed CRC’s persistence and success rates that would explain why guided pathways are needed. The morning ended with participants designing an educational plan that would allow a typical student attending full-time to earn a degree on-time. Only one group was able to complete the task in the time allotted during the breakout session; that group was able to have the student graduate with an AA-T in Sociology after five semesters (including a summer). Another group discovered that for a Veteran student who would probably prefer to take on-ground classes, a fully on-line degree program would probably not be viable. In the afternoon, participants broke into four groups to take inventory of how the College currently provides clear pathways for students, how the College allows students to enter a pathway with a focus while providing appropriate support on the pathways so that learning on the path is maximized.